A HISTORIC conservation program to save a native species of trees on the verge of extinction is being undertaken by a community that has largely exploited it for commercial reasons. 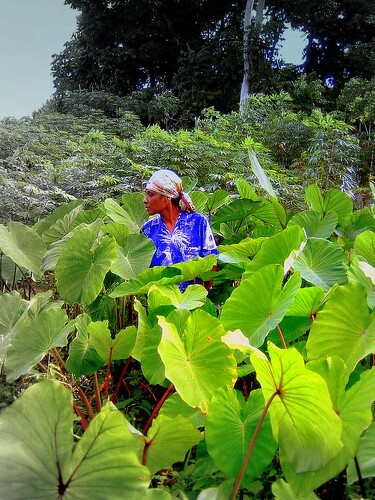 Kabara islanders in the Lau Group are actively involved in the historic reforestation program geared at saving the vesi trees, or Intsia bijuga as it is scientifically known. The effort, under the guidance of the World Wide Fund for Nature and the Government, has led to the first nursery of vesi trees being set up on the island. "We are initiating the reforestation program to ensure the community takes an active approach towards sustainability," said WWF's sustainable forest project officer, Francis Areki. The trees are a source of high value timber. Of Kabara's remaining forests, only eight per cent are vesi trees. The majority of the 400 or so Kabara islanders are reliant on the vesi timber for their carvings which they use to generate income. "There is a lack of replanting of vesi in Fiji," said the Ministry of Forestry's Acting Principle Forestry Officer, Temo Raravula. "We are raising the seedlings of native trees but now we have difficulty in finding seed sources. From my observation in the forest here, there is hardly any re-germinating as expected. Not many trees are bearing seeds," he said. "There is no other way that there will be a sustainable supply of vesi in Kabara unless we do this replanting program. "The villagers have to now plant where they have already logged. Together with replanting, the use of timber has to be improved." Furthermore, villagers have been taught a new skill in carving so that they can use the off-cuts and other wood resources other than the vesi. For the last three months, five of the villagers have been undergoing training in Nasinu and will return to the island in February to impart their knowledge. We have recently started to use a simple but very effective propagator for multiplication of indigenous nut and fruit trees. I will see if we have Intsia here in East New Britain and, if so, ask our scientists to try to propagate it from cuttings. If it works we can then liase further to help Kabara.